Lawrence Eddy (81) was born May 4, 1937, in Tiawah, Oklahoma, to Mavis and Dewey Eddy. He passed away August 24, 2018, at his home with loved ones beside him. 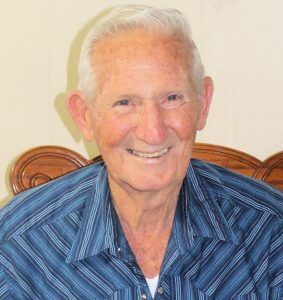 Lawrence grew up on the family farm, attending grade school in Tiawah and graduating from Inola High School in 1955. He married Betty Brunson in 1957, and they were blessed with two children, Margaret and Max. Lawrence formed his own company, Eddy Construction. With his masonry and construction skills, he built his own home and supported his family. He also served on the Rogers County Board of Adjustments for several years. A devoted member of the Church of God (Seventh Day), Lawrence served in many roles, from Sabbath school teacher to substitute preacher. He served on the local board and district board and spent many hours working on and improving his beloved Church camp in Dover, Oklahoma. Lawrence also spent much time visiting the sick and sharing biblical teachings. His creed was God first, family second, followed by service to his community of family and friends. In his free time, Lawrence enjoyed rebuilding a couple of old cars and doing woodworking. He spent vacations visiting friends and family across the country. In his later years he enjoyed his RV and having fun with the Four Seasons Good Sam Club. On October 14, 2006, Lawrence married Betty “Sue” St. Clair and gained three more children: Aaron, Angie, and Lori. He took them to his heart as his own. Lawrence is preceded in death by his son, Max, and his parents. He is survived by his wife, children (Margaret, Aaron, Angie, and Lori), 19 grandchildren, 22 great grandchildren, and other family members.